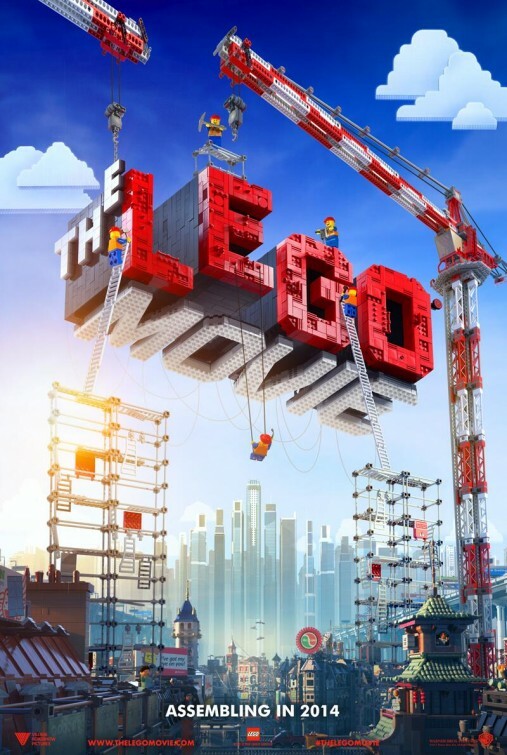 The Lego Movie marks the latest step in the recent diversification of the Lego Group, producers of everyone’s favourite colourful, interlocking construction toys. The last decade-and-a-half has seen them produce a series of best-selling video games and DVDs, but a $60 million motion picture backed by Warner Brothers represents arguably their most ambitious step yet. However, rather than feeling like a film made by a toy company, Phil Lord and Christopher Miller, the writer/directors behind Cloudy with a Chance of Meatballs, have delivered a film that is surprisingly clever, creative and funny. The Lego world is under the control of the tyrannical Lord Business. Business likes logic and order. He separates the Lego world into different realms, keeping the city of Bricksburgh separate from the Old West, Pirate Cove, Clown Town and the rest. He encourages people to follow the instructions and stifles creativity. But there is a prophecy that tells of the Special, “the most talented, most interesting and most extraordinary person in the universe,” who will reunite the Master Builders and remove Business from power. Somehow, the Special turns out to be Emmett, a simple, lonely construction worker from Bricksburgh. He is identified by the spunky heroine Wyldstyle who takes him to meet the Master Builders so they can prepare for their assault on Lord Business. Oh, and of course Emmett becomes quite smitten with Wyldstyle. But she has a boyfriend… and he’s Batman. The Lego Movie is all about imagination, both in its form and its content. Visually, the film presents us with a world in which everything is made from Lego. And when I say everything is made from Lego, I mean everything. Buildings, vehicles, landscapes, water, fire, all Lego. But rather than this limiting the scope of the film, it makes it entirely limitless. The internal logic which guides the film is that of a child’s imagination. Rather than being kept separate and adhering to real world story logic, the different realms of the Lego world intermingle resulting in an amazingly diverse story where our characters include Batman, cowboys, the cast of Star Wars, Abraham Lincoln, pirates, Gandalf, Michelangelo (both the Renaissance artist and the ninja turtle), space men and Shaquille O’Neal. A fun, irreverent adventure that feels a bit like Toy Story meets Inception or The Matrix, the film’s narrative reinforces this focus on imagination and individual creativity by taking its lead from the very toys which inspire it. Yes, Lego comes with instructions but the real fun is to be had when the instructions are thrown out and your imagination takes over. So while Lord Business desires order and conformity, our heroes are the Master Builders whose creativity enables them to see the potential of their surroundings, enabling them to dismantle the world around them to build something new. The Lego Movie is magnificently animated by the team from Australian animation house Animal Logic. The animation, while clear and vibrant, has a slightly clunky quality to it which works perfectly with the limited pliability of Lego figurines. This animation is then complemented by a strong voice cast including Chris Pratt, Will Arnett, Elizabeth Banks, Morgan Freeman, Liam Neeson and Will Ferrell. You get the impression that these funny people have been given a little bit of freedom in their characterisation, so while the film is very much G-rated in its content, the humour has the same patterns and rhythms of today’s more successful comedies. With creativity and originality in mainstream animation appearing to have plateaued over the last couple of years, The Lego Movie feels fresh and exciting. Clever, funny and with enough heart to prevent it from being a cynical product promotion, it is possibly the best animated feature since Toy Story 3. Have you seen The Lego Movie? Leave a comment and let us know what you thought. Animal Logic are amazing! It wasn’t until I went to the Screen Worlds exhibition at ACMI that I realised just how much work they have done. They deserve far more recognition. Absolutely. They’ve done some amazing work over the years. You just have to look at their show reel (http://www.animallogic.com/Reels/Best-Of) to see just how important an effects company they have been over the last two decades.